Important new report finds that medication can make your headaches worse! More than 10 million people in the US get headaches, making them one of the most common health complaints, and if YOU’RE one of the people who get them, then you will know that it can only be treated temporarily because they keep coming back again and again. What’s worse is that they tend to get worse over time. A new report by the National Institute for Health and Clinical Excellence has revealed that common painkillers like aspirin, paracetamol and triptans, often taken to stop headaches (including migraines), could actually be causing more frequent episodes. The report points out that people who have regular headaches may get stuck in a vicious cycle created by the medication. With 10 million people in the US suffering headaches and/or migraines regularly, and 83% of people buying medication for them… it’s a big problem. If medication is making the problem worse then why is so little being done about it? Doctors and research charities are blaming the pharmaceutical companies who profit from selling the drugs and are reluctant to warn the public about the pain that these drugs can cause. Dr Anne MacGregor, the director of clinical research at the City of London Migraine Clinic estimates that as many as 20% of people seeking their help are suffering from medication induced headaches. She believes the problem is also exacerbated when GPs prescribe increasingly stronger medication when the condition doesn’t respond to the initial mild prescription. Recent advances in the treatment of headaches and migraines have led to the development and huge success of Non-Surgical Nerve Decompression of the nerves causing the headaches. The excellent results of this treatment have been published in major medical journals, with some experts now recommending this as the first option before trying medication. In Quincy, you can try Non-Surgical Nerve Decompression at the Adjustin Wellness Centre – the office of headache pain relief expert Justin Felsman. Justin and his team of fully trained nerve decompression specialists have helped over 1,000 patients find relief from their agonising nerve related pain. According to Justin, “We use a combination of ultra-advanced technology, not found elsewhere in Quincy, for precisely diagnosing the cause of your headaches and a unique programme for decompressing the damaged nerve causing the headaches; this means superior long-term results for most people.” Because the treatment is non-surgical, safe and easy, most patients report an almost immediate relief from their pain. . Kayla S. Says ““I was having terrible headaches for weeks and nothing was helping. In the past, I’ve tried pain killers, massage, and even acupuncture. Nothing gave me anything except for temporary relief. 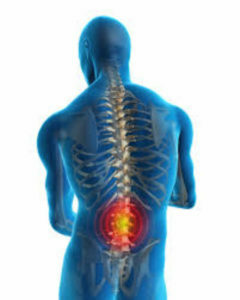 Dr. J explained in detail how the spine works. He properly analysed that the problem was stemming from my neck. I felt immediate relief and with some continuing exercises the problem was corrected, and my headaches just stopped!” – Kayla S.
We have teamed up with the nerve decompression specialists at Adjustin Wellness Centre, to help readers find relief from their persistent headaches or migraines. All you have to do to receive a thorough diagnostic examination with the most advanced technology in the world and a comprehensive easy to understand report on your state of health is call (217) 214-4440. Mention this article (CODE: JDF1021) and Justin will happily reduce his usual consultation fee of $250 to just $29. But hurry, due to obvious reasons – this is a time limited offer – with only 100 reader consultations available at this exclusively discounted rate. 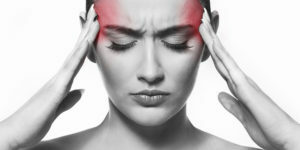 Find out if Non-Surgical Nerve Decompression can help with your headaches, book a consultation with Justin and his team now by calling (217) 214-4440, they are waiting to take your call today.